FACTORY SPECIFICATIONS INCLUDE: – AIR CONDITIONING, ELECTRIC SLIDING SUNROOF, FULL SOFT RUFFLED LEATHER INTERIOR, ELECTRIC SEAT ADJUSTMENT, DIGITAL SOUND PROCESSOR, 18” TURBO TECHNOLOGY HOLLOW-SPOKE ALLOY WHEELS, CRESTED COLOURED WHEEL CENTRES, ELECTRIC WINDOWS, ELECTRIC MIRRORS, CENTRAL LOCKING, REAR WINDOW WIPER, ON BOARD COMPUTER, TOP TINTED WINDSCREEN, HIGH LEVEL REAR BRAKE LIGHT, TWIN AIRBAGS, ABS 5 BRAKING SYSTEM, VELOUR CARPETTING TO FRONT COMPARTMENT. BLAUPUNKT TORONTO BLUETOOTH CD RADIO ALSO FITTED. Hexagon Classics are delighted to offer this low-mileage 993 Turbo. The 993 Turbo was first launched to the world in September 1985. A huge sensation when it was launched, this 911 Turbo was based on the Carrera 4. In fact, its unbelievable capabilities, and exceptionally good road-holding, led to it being compared in the magazine reports to the incredible 959. It is quite simply without peer. Three developments contributed to its unbelievable performance. The engine had low inertia turbos, the transmission had six close-ratio speeds, and of course it came with four-wheel drive. The 911 Turbo was conceived and built my motorsport enthusiasts, who were proud of its power-to-weight ratio of approximately 5.0kg/Kw, and of its staggering 540 Nm of maximum torque at 4,500 rpm. The car has a maximum boost pressure of 0.8 bar. It takes the same amount of time to pin down the 911 Turbo from 200 km/h to a standstill as it does to accelerate from 0 to 100 km/h: 4.5 seconds flat. The brake discs are 322 mm in diameter. The engine is an air-cooled 3600 cc 6 cylinder DOHC unit, with twin turbochargers. Maximum power is 408 BHP and a six-speed gearbox was standard. The 911 Turbo is far better at being civilised and coping with everyday driving conditions than its competitors will ever be at providing true sports car performance. Presented in wonderful condition and painted in the original Porsche 993 Turbo launch livery, this vehicle has just received extensive recommissioning, and a 111-point check and service from Porsche Centre West London, its original supplying dealer. This low-mileage 993 Turbo will enthral any Porsche collector. 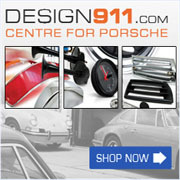 It will also be supplied with a Porsche certificate of Authenticity and a comprehensive written 12-month warranty.